One of the best books ever written on tyranny captures the essence of spin and misinformation as part of the strategy to maintain power and privilege. Sadly, we recycle untruths to the point where a new generation of people who inherit this earth fall victim to this phenomenon. The abnormal becomes normal; and the public wonders with disbelief if there is any way out. In countries such as Ethiopia where independent media and journalism are literally criminalized, ordinary citizens are denied the right to know the truth. The regime in power in Ethiopia may not “burn books” to limit access to critical information and to knowledge or flog or hang innocent people who oppose it in public view. It is much more sophisticated than that. But its actions amount to the same thing. There are tens of thousands of people, especially youth, whose whereabouts is still unknown. It is up to us to dig deeper and deeper and understand why tyranny in Africa persists. We cannot do this if we do not read books and research papers; attend forums or challenge one another constructively and civilly. We cannot fight spin and misinformation about Ethiopia if we do not value intellectual and moral integrity or if we are unable to advance the interest of the country and its 105 million people ahead of party, ethnicity or religion. This leads me to my commentary. African nations continue to suffer from two interconnected sources: internal elites and high priced foreign lobbyists or what some American scholars call “spin doctors.” Ethiopian society is among the top tier of nations that suffers from economic and political capture and external collusion using lobbyists for pay. The marriage between the two goes back to the colonial era when imperial powers recruited and groomed “promising African leaders” amenable to personal and family inducements, cajoling, flattery, bribery, corruption and the delusion that they are “civilized Africans.” Western leaders called some of the most repressive leaders in Africa such as Museveni and Meles “Renaissance men.” Within the Ethiopian context, the term “renaissance or transformation” is abused and overused to the point that it has lost meaning in the same way as growth. Word matter. Many of us are persuaded by overhyped terms. The colonial strategy of cajoling, providing inducements, promoting ethnic, regional, sectarian, religious and class division succeeded throughout Africa, the Middle East and South Asia. This was done at enormous social costs to newly independent countries. When the colonial masters left; “black elites” replaced them as the new rulers. Most of Africa’s leaders became the new thieves of state and government. Sadly, these thieves of state and government had partners in foreign countries. Thieves of state and government leased or sold precious mines and increasingly farmlands at prices that are criminal. Infrastructure contracts for mega projects such as dams, rails, roads, ports, auditoriums etc. by African bureaucrats are riddled with legions of bribery and commissions. Lending institutions worsened the situation by colluding with national elites regardless of their misdeeds. The growth story we often hear about Ethiopia is not shared by the vast majority of the population. Yet, the IMF and others “spin and misinform” with incredible assurance using “incredible or make-believe data.” Nothing is said about bribery, corruption, illicit outflow of billions, mismanagement, civil conflict and instability. Nothing at all!! A staggering amount of between”$36 billion to $69 billion” of capital was stolen and taken out of Africa in 2014 alone. Ethiopia is among the top that bleeds. “More wealth leaves Africa every year than enters it – by more than $40bn (£31bn) – according to research in the U.K. that challenges “misleading” perceptions of foreign aid.” The amount of foreign aid that African nations receive is miniscule compared to the amount of money taken out of the continent each and every year. Africa would be better off without aid than with aid if its wealth was kept and invested within the continent. Africa would be better of if its educated youth had opportunities at home. Imagine what food aid dependent Ethiopia could do with $30 billion that David Steinman reported was stolen from the Ethiopian people by its rulers (Forbes, Ethiopia’s Cruel Con Game, March 3, 2017). What is stolen is the entire amount American aid to the Ethiopian people. This aid was not granted to enrich thieves of state and government and their families. It was intended to improve the lives of the poor and make them self-reliant and productive. Can these monies be reprieved? This depends on change in government. Democratic countries are in a better position to go after illegal or illicit outflow of funds from their countries. They have well established institutions to bring corrupt officials to a court of law. In most developing countries, especially in Sub-Saharan Africa, North Africa and the Middle East, the rule of law does not apply. Independent civil society organizations (CSOs) do not exist. Persons who advance the rule of law and expose corruption risk their lives. Why should Africans care anyway? Poor and backward countries need all the capital they can get in order to build social and physical infrastructure. Bribery, theft, corruption and illicit outflow deprive them of the requisite capital to improve the lives of their citizens by investing in education, health, maternal and child care, safe drinking water, sanitation, better nutrition. Because of its enormous adverse impact on wellbeing, illicit or illegal diversion of billions of dollars of precious capital from poor countries such as Ethiopia is corrosive and a crime. Last week, I commented on the World Bank’s assessment of regional disparities in growth and development in Ethiopia. I drew attention the need for equitable distribution of aid and federal budget to mitigate the deepening and worsening destabilization in Ethiopia. I was therefore struck by an IMF End of Mission press release dated September 26, 2017 that offered a rosy picture of the Ethiopian economy. At the conclusion of the mission, Mr. Escolano said that the “The Ethiopian economy showed strong resilience in 2016/17 amid continued weak global prices for Ethiopia’s key exports and re-emergence of drought conditions in parts of the country. Real gross domestic product (GDP) is estimated to have increased by 9 percent in 2016/17. Government interventions to mitigate the social impact of the drought, in collaboration with development partners, were timely and effective, thus limiting its human cost.” The report offers a partial and partisan story. It may as well be written by TPLF/EPRDF cadres. A resilient economy does not beg for food aid. People would have enough to eat. Youth do not leave their country in droves. This report reminds me of William Easterly provocative book, “The Tyranny of Experts: Economists, Dictators, and the Forgotten Rights of the Poor.” Mr. Escolano forgot the Ethiopian poor completely. It is because of the fact that the IMF does not expect him to be socially conscious or responsible to ordinary Ethiopians. Doctoring facts is a well-established tradition. It is therefore not that hard to be skeptical of conclusions that have no soul. A few examples will illustrate the gap in analysis. 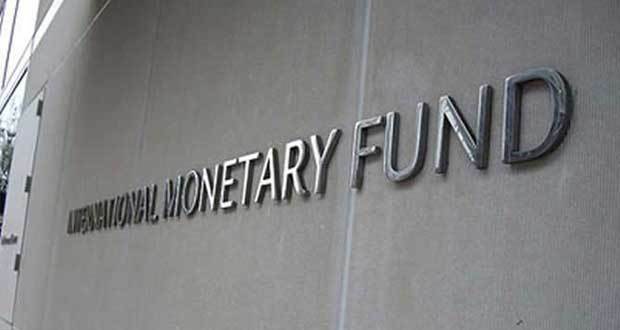 The IMF failed to mention Ethiopia’s growing debt burden that has now reached an unsustainable level and has affected investments in critical social and economic sectors including infrastructure. Export earnings have been falling for a number of years. This is in part fueled by corruption and massive illicit outflow. The popular revolts in Oromia, Amhara, Konso and other regions have restrained the flow of foreign direct investment and tourism. Economic activity has stalled in Bahir Dar, Gondar, Dessie, Awassa and other parts of the country. The IMF It failed to mention the destabilizing effects of internal ethnic conflicts between Oromo and Somali Ethiopians. Unemployment among youth has not abated. The root causes of the unrest are unresolved. Growth is spatially and socially is uneven and unjust (the World Bank). Ethiopia’s private sector is squeezed by TPLF owned enterprises (UNCTAD). The business climate is not favorable to a diverse set of Ethiopian economic actors; and the regulatory environment is suffocating (World Economic Forum/Freedom House). In theory, IMF’s governance does not allow its professional staff to get involved in the internal affairs of the client country. However, they are free to use statistics and insights from government officials and to arrive at their own independent conclusions. The conclusions reached by the IMF are always in line with official government policy. The pattern observed in the past is this. The regime takes any favorable assessment of the current socioeconomic and political situation by governments, experts and multilaterals as further proof that its policies and programs are advancing the welfare of the Ethiopian people. This reinforces my general theme that it is the TPLF core that benefits the most from the “Tyranny of experts.” Favorable assessment justifies other interventions such as the use of lobbyists to stymie H.R. 128 that has widespread support in the U.S. Congress. The TPLF is well known in deploying the latest tools in influencing policy makers in key countries, most notably, the U.S. It does this successfully by hiring expensive lobbyists whose luxurious life style in the Washington Metropolitan area is legendary. Ironically, the same regime that spends public funds “begs” for humanitarian aid. Ethiopia is still unable to feed its starving millions. Early this year, the TPLF Ambassador to the U.S. hired an American firm, S.G.R. LLC Government Relations and Lobby at a cost of $1.8 million or about $150,000 per month. The firm’s primary job is to provide lawmakers a rosy picture of Ethiopia as a “reliable ally in the fight against terrorism and fundamentalism in the Horn of Africa; and as a beacon of stability and remarkable growth in a region replete with chaos, civil war, hunger and instability. The lobbyists hired are expected to remind American policy-makers that Ethiopia is a major and reliable ally in the war against the spread of terrorism and fundamentalism in the entire Horn of Africa. It is reported that a high level Ethiopian delegation on a visit to the U.S. in connection with the Annual meetings of the U.N. General Assembly met with key U.S. government Officials and members of Congress and asked them to postpone deliberation of H. R. 128 until Ethiopia’s “Parliament” deliberates on “substantive policy changes,” including the opening-up of “political space.” This is the reason why deliberation of the bill has been postponed. Some knowledgeable sources also opine that Ethiopia has threatened the Trump Administration that it will “cease supporting America’s efforts on the war against terrorism” in the event the Bill passes. How an American legislative body would be held hostage by a tyrannical regime that depends on American aid for its survival is debatable. The Ethiopian Parliament is a mouth piece of the TPLF and not an independent deliberative body. Hundreds of Ethiopian political prisoners including journalist Eskinder Nega, Professor Merera Gudina and Bekele Gerba, both prominent leaders of the Oromo Federal Congress, Mamushet Amare, also a highly respected and notable opposition figure who was also leader of All Ethiopian Unity Party (AEUP) and numerous others are toiling in jail. These and numerous 0thers are jailed with the deliberate intention of depriving Ethiopia of alternative leadership. In summary, the IMF rosy picture fails to present a true picture of a dire reality in Ethiopia; while the UN working group says it like it is. I should like to add that other political prisoners who toil in jail deserve to be released and compensated. Prime Minister Hailemariam should be challenged to take concrete steps that show a desire for meaningful change. The current target of the expensive lobby paid for by Ethiopia’s poor is HR 128. An American hired firm “killed” a similar bill a few years. Co-sponsored by 68 members of Congress, H.R. 128 has been endorsed by both Republicans and Democrats at the sub-committee and committee levels. Numerous Senators have indicated their support. American officials should not be tricked into believing that the TPLF dominated regime would reform itself. It hasn’t reformed itself for more than a quarter of a century; and would not go beyond cosmetic change in the near term. Instead, they should trust the Ethiopian people and their resolve to defend their country, themselves and their future against terrorism. The Ethiopian regime is creating a fertile ground for terrorism under the pretext of fighting it. H. R. 128 is consistent with America’s overarching values of inclusive and good governance, the rule of law, respect for human rights and democracy. It is in America’s long-term interest for Congressional leaders not to permit the stalling of this vital legislation. It should be passed. Deal with the root causes that triggered the popular revolts in the Oromia, Amhara, Konso and other regions. End the use of excessive force by security forces. Investigate extrajudicial killings and enforced disappearances and make officials accountable for crimes against humanity. Allow the UN High Commissioner’s request for independent rapporteurs to investigate human rights abuses. Open up political, civic and religious space immediately. Engage opposition groups within and outside and outside Ethiopia in a consultative process towards a meaningful transition of political power. Engage ordinary citizens in the policy and budgetary allocation process. Allow expert debate on Ethiopia’s development model. Establish an expert commission to investigate corruption and illicit outflow at all levels; and bring those responsible to a court of law.